To establish the deRoaldes Award to be presented to an individual in recognition of outstanding accomplishments in the field of Laryngology and Rhinology. The income from the Fund shall be used to cover the expenses of the Award, i.e., a medal and a certificate usually granted every three years. The Council shall appoint a deRoaldes Award Committee, consisting of five (5) Fellows: one member shall be appointed annually to serve a five-year term. The Fellow senior in service on this Committee will serve as its Chairman. The Award shall be known as, “deRoaldes Award” for achievement in Laryngology and Rhinology. The Committee shall submit its recommendation to the Secretary one (1) month prior to the Annual (Mid-Winter) Meeting of the Council. The Award selection shall be made by the Council on recommendation of the deRoaldes Award Committee. The prospective recipient of the deRoaldes Award shall be a resident of the Americas, selected on the basis of outstanding accomplishments in Laryngology and Rhinology. Fellows of the Association are not excluded.  The Award shall consist of a medal, suitably inscribed on the obverse side with a figure of Hippocrates, a staff and serpents, a wreath of laurel, and surrounded by the words, “American Laryngological Association.” The reverse shall be inscribed, “deRoaldes Award for the Achievement in Laryngology and Rhinology” with the recipient’s name and year. The size of the medal shall be approximately 45mm. The Award shall be accompanied by an appropriately inscribed certificate. The Secretary shall arrange for striking the die and its safekeeping. He/she shall notify the recipient of the Council’s selection after the Annual (Mid-Winter) Council Meeting. He/she shall announce in the postsessional report that the Committee will accept suggestions for suitable candidates for the Award. The Award shall be presented at the Annual Banquet of the Association. Fellows may send suggestions for the Award to the Secretary.